Product prices and availability are accurate as of 2019-04-03 16:21:08 EDT and are subject to change. Any price and availability information displayed on http://www.amazon.com/ at the time of purchase will apply to the purchase of this product. While peppers can be harvested while young and green, bell peppers taste sweeter when mature. 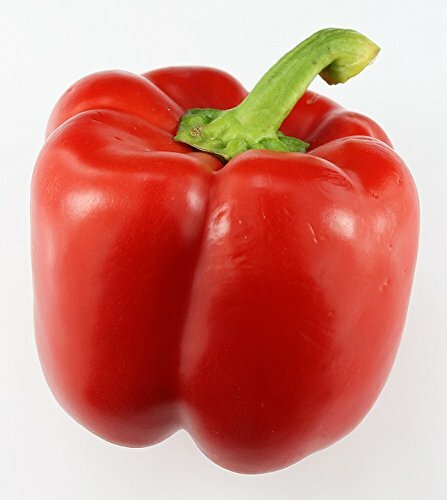 That red bell pepper from the grocery store is the same as the green bell pepper, it's just had longer to mature, which is why they are often more expensive. 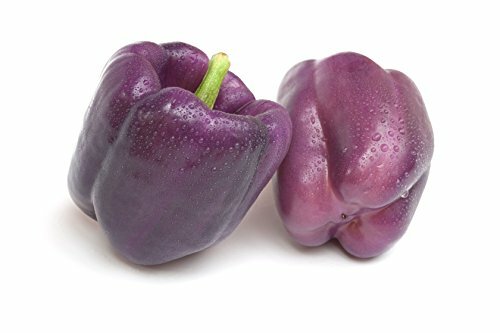 • Purple Beauty Bell Pepper: Grows 24-36" tall and produces 3-4" bell peppers that start green and mature to purple and then to a purplish red. Tastes slightly sweeter than a normal green bell pepper. • Chocolate Beauty Bell Pepper: Grows 24-36" tall and produces 4-5" bell peppers that start green and mature to brown. Tastes slightly sweeter than a normal green bell pepper. 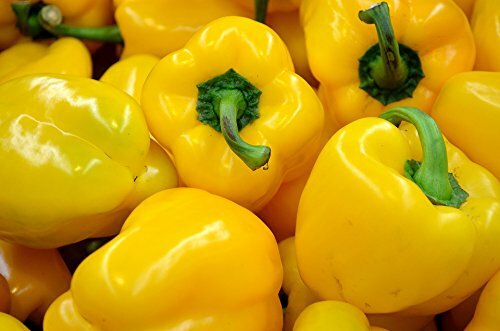 • Golden California Wonder Bell Pepper: Grows 24-36" tall and produces 4-5" bell peppers that start green and mature to gold. 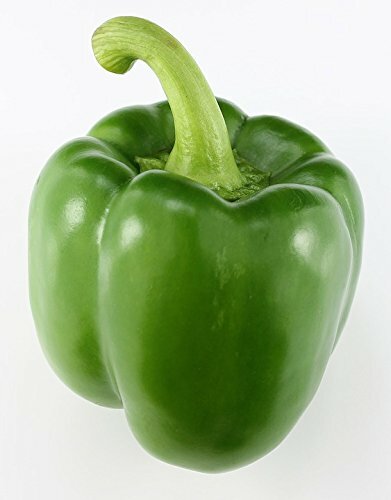 Tastes similar to normal green bell pepper. 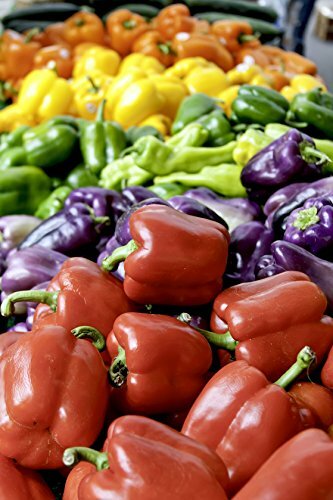 • California Wonder Bell Pepper: These are your standard bell peppers you've seen a million times. Grows 18-24" tall and produces 4-5" bell peppers that start green and mature to red. Tastes like the bell peppers you're used to eating from the store. • Sunbright bell Pepper: Grows 24-36" tall and produces 4-5" bell peppers that start green and mature to yellow. Tastes sweeter, but more mild than standard green bell pepper. Other rainbow mixes come in one package so you might never know what colors you're planting, but the Rainbow Bell Pepper Mix by RDR Seeds has each variety separate (20 seeds each, 100 seeds total) so you can make sure you're planting at least one of each variety. 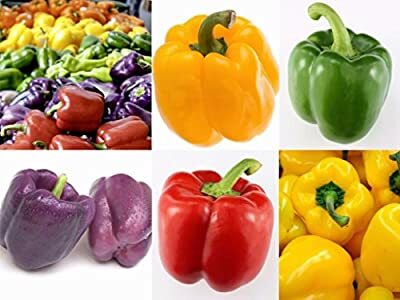 Contains 5 different varieties of Sweet Pepper: Purple Beauty, Chocolate Beauty, Golden California Wonder, California Wonder, and Sunbright. Plants grow 18-36" tall and produce 3-5" bell peppers. See "Product Description" below for specific information on each variety.